We have seen for the last few months now endless articles that have criticized Facebook’s organic reach (the number of unique people who saw your post in News Feed or on your Page) for business pages. Large companies have ended their Facebook pages altogether. Even more have continued to pile on and shout that the sky is falling on the social media giant. Businesses understood their page to be the same as an individual’s page. In essence, a social sharing audience that businesses could reach out to, one in which their content would attract large audiences and entice sharing. Many are finding this not to be the case. This understanding may be at the heart of the problem businesses have with Facebook and why many are saying that marketing on the social media platform is dead. However, Facebook is still a very effective tool in any businesses marketing efforts, provided your content is engaging and interesting. As with any advertising platform it is always changing and evolving. Let’s take a look at other areas that have also faced major changes. Television has long been an effective messaging outlet and they have done so through intense change: the introduction of cable TV, audience fragmentation, the advent of DVR and On Demand viewing capabilities. And yet advertising on television is still a very effective way to marketing your business. Radio has also faced challenges, from online streaming to satellite radio. But radio has continued to adapt and remain an important tool. It is with all of this in mind that your Facebook page, as with any marketing efforts that you implement, requires strategy and forethought. Mom’s saying “you get what you put into it” wasn’t just for your science projects. It has become imperative for you to treat you social media marketing efforts with more energy, with more precision and with more creative direction. 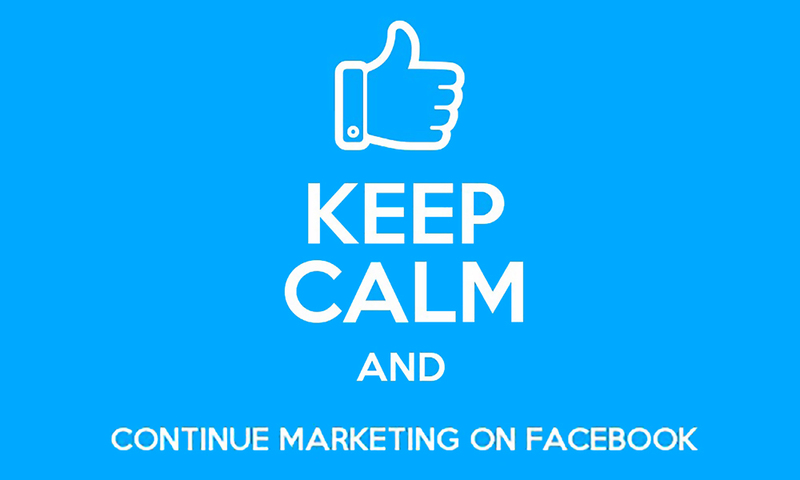 Do you plan on making Facebook part of your marketing strategy? Let us know your thoughts. About the author: Jeff Galliher is the Managing Partner and Creative Director of the High Point agency. Jeff has successfully handled marketing campaigns in Alaska for the last 10 years. Should My Alaska Business Be On Facebook? Subscribe to our newsletter. Occasional Alaskan marketing insights in your inbox. Copyright © 2019 High Point. All Rights Reserved.